Home > Products > Rig Supplies & Co. 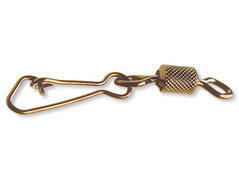 The fastlock snap swivel is the preferred snap of many spin fishers. Nearly unbeatable in combination with a Cortest swivel. 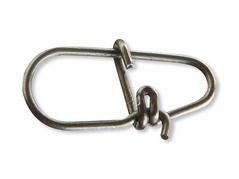 Super strong swivel with special snap. Line twist is a tiresome topic at trout fishing, which can't be avoided totally. 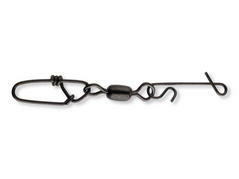 When fishing without swivel, you almost can see, how the line twists more and more until casting is nearly impossible. Line twist cannot be prevented entirely, but one can minimize its disturbing influence to a minimum. The crucial role plays the swivel. 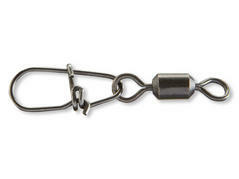 We produce our Big Trout triple swivels on the latest machines with extreme low tolerances to provide a smooth running rotation. 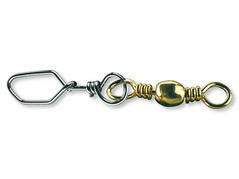 Strong and reliable snap made of spring steel, which can easily be opened and closed also with wet fingers. 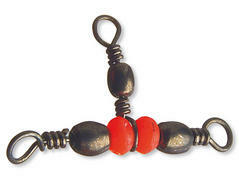 Especially designed for spin fishing. 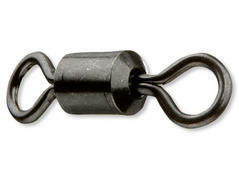 The Corlock power swivel has been developed for specialists, who need to rely on their tackle in every situation. 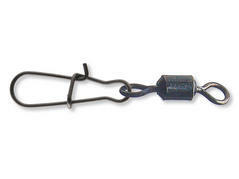 Especially designed for all kinds of lure fishing. 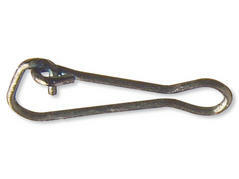 The snap can easily be opened and closed with wet or cold fingers. Makes a super fast connection between line and swivel possible without any loss of the line's strength. 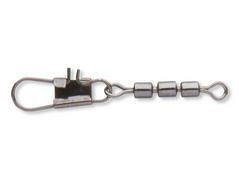 With snap for braided lines and made of stainless steel. Different models available, depending on demanded strength. Swivel with safety snap. Gunmetal, very strong.